“It’s time to break the chains,” said Algerian protesters during their resolute anti-Bouteflika protests. But could their goal for political reform lead to an economic crisis? Rabat – Algerian politicians are warning of an economic crisis, as revenues from Algeria’s oil and gas exports are dropping. “The debate is now focused on politics, but the real iceberg is the risk of an economic crisis in the next couple of years and no one has a strategy to tackle this,” said Riccardo Fabiani, an Algeria-focused analyst at the London-based research institute Energy Aspects. As Europe’s third-biggest natural gas supplier, Algeria’s fuel exports bring in more than 95 percent of its foreign currency. Meanwhile, employees at energy firms are responding to online calls to strike and join the mass protests. Officials fear a strike could threaten energy exports. The CEO of the country’s state energy firm, Sonatrach, said last weekend that while employees have the right to join the protests, they should first fulfil their duties and keep working. 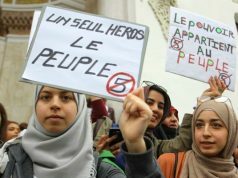 Last week, employees in several oil and gas corporations went on strike nationwide, joining the demonstrations against their ailing President Abdelaziz Bouteflika. 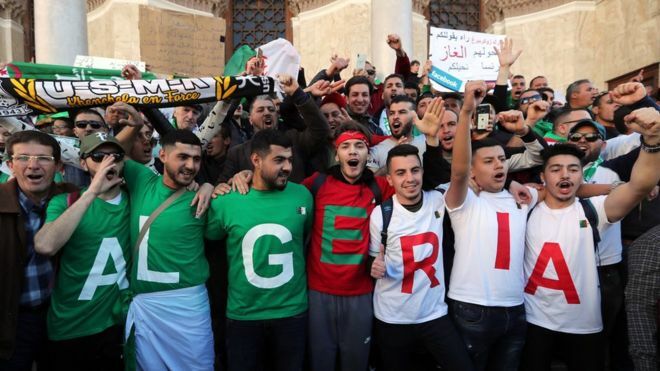 Protests are still ongoing in the North African country, and Bouteflika’s party itself rejected his plan for a leadership transition. 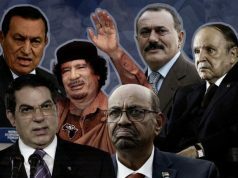 Although he withdrew his bid for a fifth presidential term on March 11, Bouteflika insisted on delaying the April 18 elections, effectively extending his fourth term indefinitely. He has called for a national conference to approve a new constitution and reform the political system before his successor steps into power. Bouteflika’s party rejected his plans for a national conference. 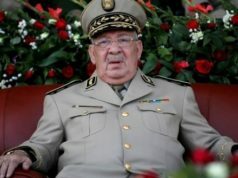 The National Liberation Front (FLN) told Algerian television channel Dzair News that the conference idea is “no longer valid” because unelected figures would participate in it, and Algerians do not want it. 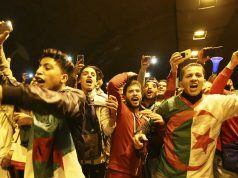 When Bouteflika announced the conference, Algerians bitterly accused him of trying to “trick” them into ending the protests without achieving their aims. Demonstrators then took to the streets to start further protests, denouncing the president’s failure to let go of power and demanding that he leave at the end of his current term on April 28. 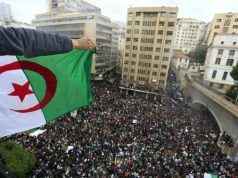 Demonstrations across the country started on February 22 and are the biggest Algeria has experienced since the Arab Spring in 2011.